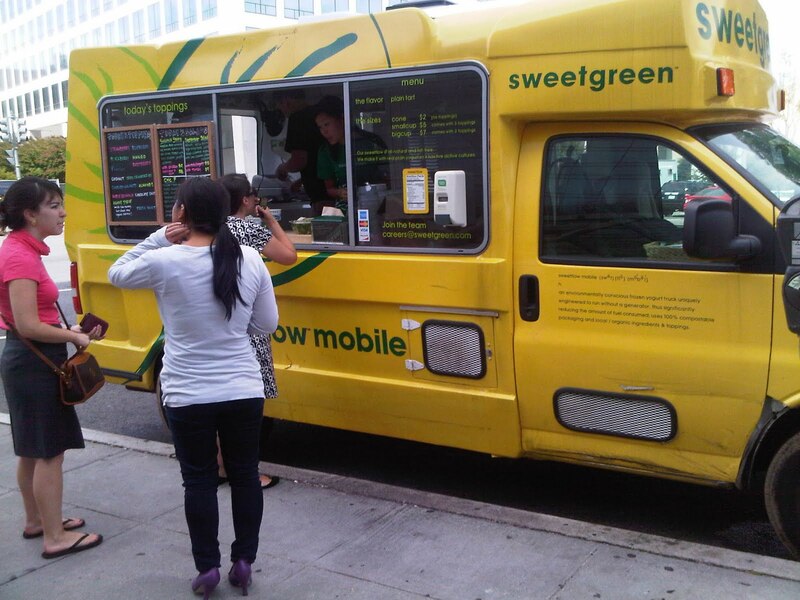 My coworker and I ventured over to the Sweet Green's food truck, the Sweetflow Mobile, parked outside L'Enfant for lunch. The line wasn't too bad, so we actually visited the counter twice. She got a Chic-P salad (mesclun and baby spinach with baked falafel, chickpeas, cucumbers, roasted peppers, garlic pita chips and topped with a lemon hummus tahini dressing) during the first round, and we both got a small cup of yogurt with blackberries, strawberries, and chocolate chips ($5 for yogurt with 3 toppings) during round 2! The Sweetflow Mobile offers a few different to-go salads and of course, yogurt with a variety of toppings. 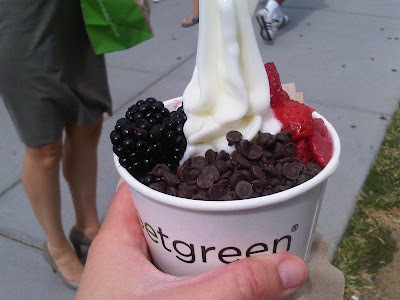 If you are looking for a healthy and quick lunch, check out the schedule here.